Catalogue > Cities: maps and sights of cities and villages > 5. Utrecht > UTRECHT. 't Margaritenhof en Breijers kameren. 'T MARGARITEN-HOF TE UTRECHT. 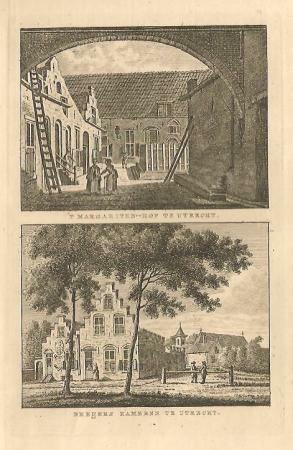 / BREIJERS KAMEREN TE UTRECHT.